While many people train for improved performance, most people train (at least as part of their goals) to look better. Unfortunately most people not only fail to realize the huge impact posture can have on asethetics, but actually spend their workouts doing things that make your posture worse. For example, many guys want big, thick pecs. As a result, they slave away at bench pressing (from all the angles of course) and then follow that up with chest flies and endless cable crossovers. However since we are now in what I call the "iphone generation" most people spend all day hunched over their phones, video games or computers. As a result, our posture is worse than ever. At our university I'm seeing young, 18 year old kids with 70 year old posture. When you add chest specialization to this, you make this problem worse AND you hide the very pecs you are trying to build. A while back we had a basketball player who had to stop playing mid-season because of back pain. I met with him to see if I could help. I took one look at his poor posture and new that I could play at least some role in helping him get back in the game. I designed a very aggressive postural correction program for him. Because we were in a mid-season time crunch, I gave him no (i.e. 0) chest exercises. For the upper body, we simply hammered his upper back while stretching his chest. The end result was his posture improved, his back felt better and he was able to play again. However, something interesting also happened. I looked at him and started to chuckle as I told him, "it looks like you just did a chest specialization program!" Sure chest hypertrophy is important for chest aesthetics, but never underestimate the impact of posture. Also, if you ever do want to crank up the chest work, be sure you fix your posture first and keep a hefty amount of rowing exercises in your program to balance things out. Ladies who desire a bigger chest can also benefit from this same postural fix. However, an even more common concern for many ladies is the lower abs. Many people make the mistake of trying to fix this with "lower ab" exercises that actually over develop the hip flexors and further tilt the pelvis forward thus causing more abdominal protrusion. However, tipping the pelvis back to where it should be will help you with numerous things, including flattening out your lower abs. I've already done a post on this, so check out The Real Secret to Flat Lower Abs for more details. Faulty postural alignment prevents the body from moving freely. For example, slump your chest and let your head fall forward and then try to reach your arms overhead. Afterwards, do to the opposite: stand tall, lift your chest and tuck your chin back (i.e. make a double chin) and then try to lifting your arms overhead. Notice the difference? 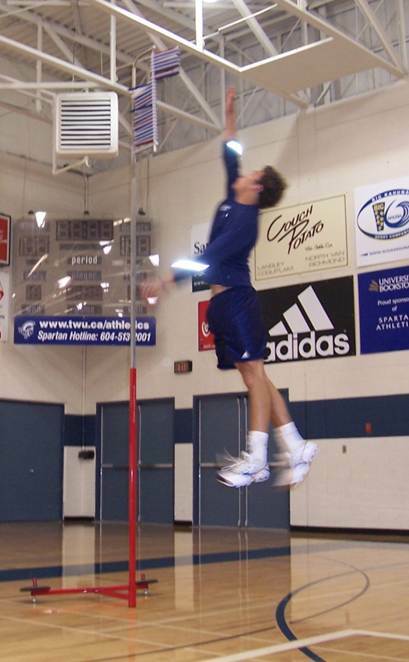 Many people from athletes to everyday folks injure their shoulders in this overhead position. While this can be a riskier position, this risk is significantly amplified by poor posture. Here is a trick I learned from low back expert Dr. Stuard McGill. Stand with slumped posture. Reach one hand behind your back and find those muscles that run up and down the sides of your spine (spinal erectors) with your thumb and index finger (see picture). In this slumped position, they should be turned on. Now, keeping your thumb and finger pushing on these muscles, gradually bring your chest up, shoulders back and tuck your chin in. Did you noticed what happened? As you return to proper posture, These muscles can relax. This instantly takes stress off your spine and neck and unwanted tension off your muscles. Confident, strong people tend to have good posture. While there are many other factors involved here that are beyond my area of expertise, improved posture gives you a look of strength and confidence - whether you are walking onto the sports field into the business board room. Wise people have said that you should act like the person you want to be. If you lack confidence, practice standing tall. Over time it may help and at least it won't hurt. Your body will work better if it is in alignment. When it is out of alignment, some muscles get too loose and some get too tight. This impairs your ability to perform correctly. For example, think about the hip flexors. 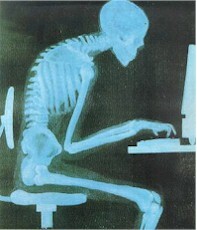 Most people these days spend too much time sitting. As a result, your hip flexors are in a chronically shortened position. This gives the body the message, "you don't need all this hip flexor length" and so the body shortens the hip flexors. From a performance standpoint, the glutes are a key engine of the body. However, trying to get the glutes to perform properly while the hip flexors are tight is like trying to merge onto the freeway with your emergency break still on. Years ago, I remember learning a tip from Joe Defranco. 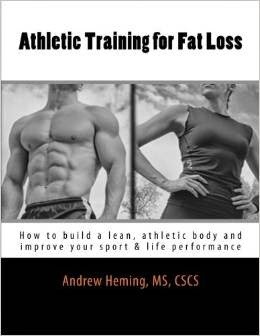 He recommended stretching the hip flexors before doing a vertical jump test. Soon after this I was doing vertical jump testing with one of my classes and I couldn't resist the opportunity to do an experiment. I tested my vertical jump, stretched out my hip flexors and instantly put 2.5 inches (6.4cm) on my vertical jump. For a bigger chest, a look of confidence and flatter stomach, lift your chest, tuck your chin in and squeeze your shoulder blades together. To have flatter lower abs, stretch your hip flexors. When standing contract your glutes to help tip your pelvis back to its proper position. To feel better, stand tall with your chin tucked. You will look more confident and take tension off your back. To improve your sprinting and jumping performance, stretch tight hip flexors before lower body speed, power or strength training.